To teach young students at Oak View Elementary School about STEM and humanities subjects through interactive activities such as quizzes, fun building activities and presentations with a Q&A section. At Oak View Elementary, we taught 13 third and fourth grade classes for an hour. We spent 15 minutes teaching the students through a presentation with a Q&A session at the end. The next 30 minutes were spent on 2 different interactive STEM activities. 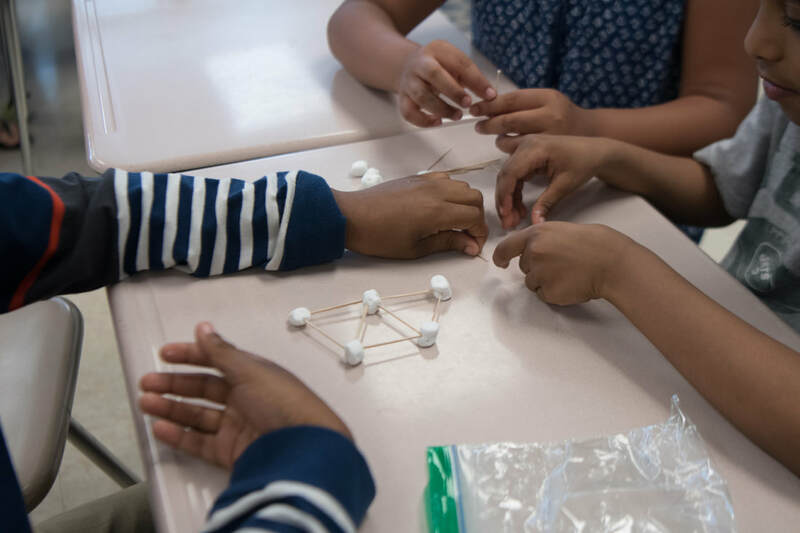 The first one was a hands-on engineering activity to teach students the importance of triangles in our day-to-day lives. In addition, the students played a game to teach them the basics of coding. For the last 15 minutes, the students played a quiz game, made on Kahoot! to test the test their basic knowledge on STEM and humanities. ​For the HGC classes, some of our volunteers also taught precipitate reactions and artificial intelligence in addition to the other lessons listed above.